Energy storage grew 126 percent in the U.S. between the first and second quarters this year, according to a report released today by GTM Research and the Energy Storage Association (ESA). In all, the quarter saw 41.2 MW of new energy storage deployed, putting the industry on track for a second consecutive historic year, with an expected 287 MW boost for 2016. “The industry continues to surpass milestones, fueled by increased value and market opportunities, as well as plummeting system costs,” said Matt Roberts, ESA executive director. Long-term, the U.S. is expected to reach 2.1 GW of energy storage by 2021, nine times the size of the U.S. market in 2015, creating a $2.9 billion market. 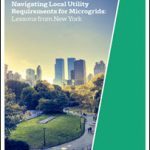 A separate report by GTM Research last month found that energy storage is becoming a cornerstone of microgrids, and that half of all operating microgrids employ battery storage. Interestingly, it was not California that led the way this quarter, but the central part of the country, specifically the territory of grid-operator MISO, where Indiana offered up the the largest front-of-the-meter project, according to the GTM/ESA report. Typically, California and PJM are the blockbuster regions for energy storage. California mandates that utilities procure 1.3 GW of storage by 2020, and PJM offers favorable wholesale market rules. But together they accounted for only 35 percent of the megawatt capacity, said the report. In addition, the report’s “All Others” category – not California or PJM – stood out as the largest cumulative residential market for the quarter. “This transition speaks to the fact that developers and storage system vendors are exploring a number of newer markets across the U.S., though individually these state markets are still quite small,” the report said. GTM expects California to regain its status as the lead storage market in the U.S. by year’s end, largely because of the quick additions being made to help ensure electric reliability in Southern California Gas Company’s Aliso Canyon. California did remain the largest non-residential energy storage market. Year-over-year, energy storage grew only 1 percent. But what the market lacked in annual growth,it made up for in geographic and market-segment diversification, said GTM/ESA. Several states are making notable policy plays to ramp up energy storage, including Massachusetts which recently enacted an energy storage mandate. Another important policy move came out of the White House, which announced a series of public and private efforts to scale up energy storage (along with microgrids and renewables). The activity in aggregate may lead to $1 billion in energy storage investment. Aquion announced the largest deal in Q2 2016. The company raised $33 million in a funding. Behind-the-meter residential and commercial systems grew 66 percent year-over-year because of improving economics and adoption in new state markets. California remains the largest non-residential energy storage market, with 83 percent of the total megawatts deployed in this segment. The data is from the latest U.S. Energy Storage Monitor, a quarterly publication available for a fee from GTM Research and ESA. 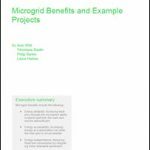 Read more about energy storage and microgrids here.